The perfect mix of smooth vocals, tight rhythm and awesome horns create an atmosphere for all occasions and with a music repertoire to include everyone's favorites . Whether ceremony, cocktail, garden, dinner or high energy dance music, City Beat keeps the party going. Formal/elegant or casual/rustic, City Beat performs at all venues and our musician size of 1 to 8 (or more) will accommodate all venue sizes. 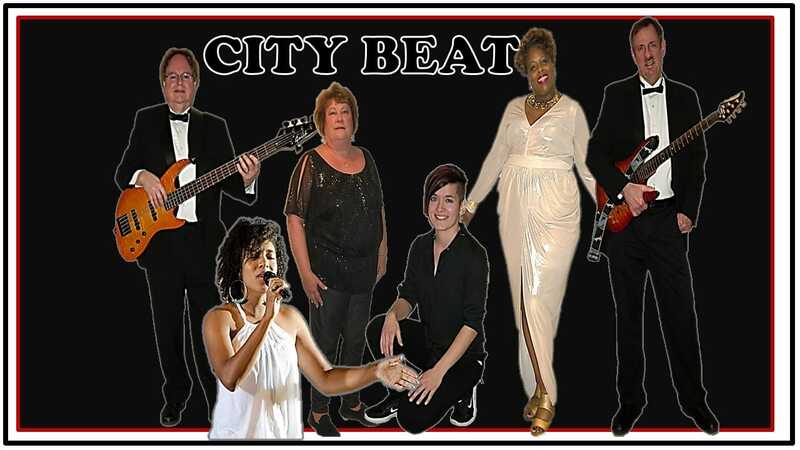 You can afford live music at your event with City Beat. Pro sound gear, deejay, effect lighting, emcee services, fog machine, karaoke, your music your way! The professional sound you're looking for. With over 10 years of sound and DJ experience, our promise is to give you an experience that you will always remember. Fun and interactive showmanship, knowledge of music and the music industry, as well as professional experience is our trademark. Many more City Beat Demos on our music video, jazz and wedding pages!